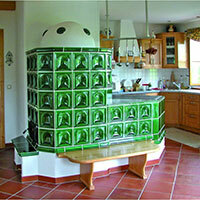 Traditionally the Kachelofen was made of firebrick and tile. 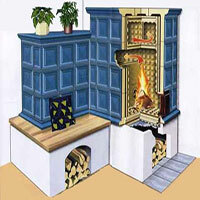 A Kachelofen uses engineered maze-like passages to retain the heat from the fire and flue gases and stores it to be given off slowly, allowing the masonry to retain as much of the heat from the fire as possible. 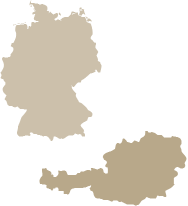 Biofire carefully designs and engineers each Kachelofen using, modern technology and age proven concepts for each home. A Biofire Kachelofen saves you money. Your gas or electric bill will be much lower as you use your Biofire. 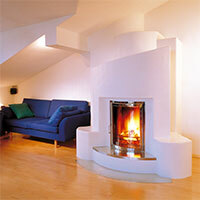 Biofire’s are low maintenance and have a low impact on your home environment. You will have less dust to clean and fewer HVAC filters to replace. Biofire Kachelofens use wood as a fuel source. It is designed to use about a grocery-sack full of wood for a single firing. This will produce a full day’s worth of heat. 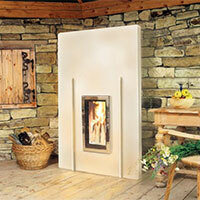 The fire in a Biofire Fireplace burns so efficiently, that it produces very little pollutants. In other words, Biofire Kachelofen use wood in a sustainable way because of the small amount of wood used and the low amount of pollutants they produce. Much like the heat from the sun, the heat from a Biofire Kachelofen permeates your entire body and warms you inside and out. No commitments; we are ready to answer questions. Each kachelofen is designed and engineered for the space it will heat. 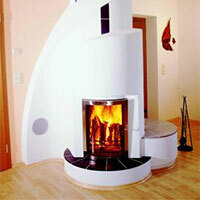 Biofire professionals work with the homeowner to design the kachelofen to the desired style and specifications.